In offices, we normally have a shared printer that all of the office staff uses. These printers are called network printers. The best thing of network printer is that multiple users in the office can access the printer at the same time and print their documents. There are many ways to install the printer but the easiest way is to install it using printer’s IP address. 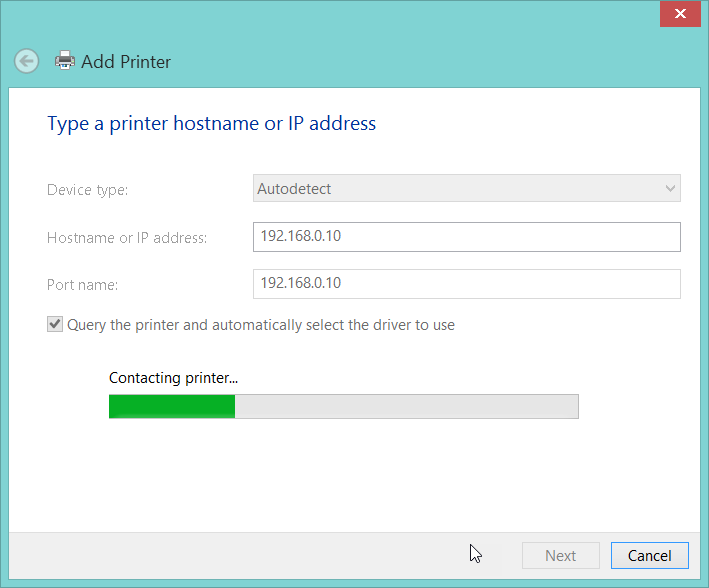 To add a printer using IP address follow the following steps. On a new window click on Add a printer. 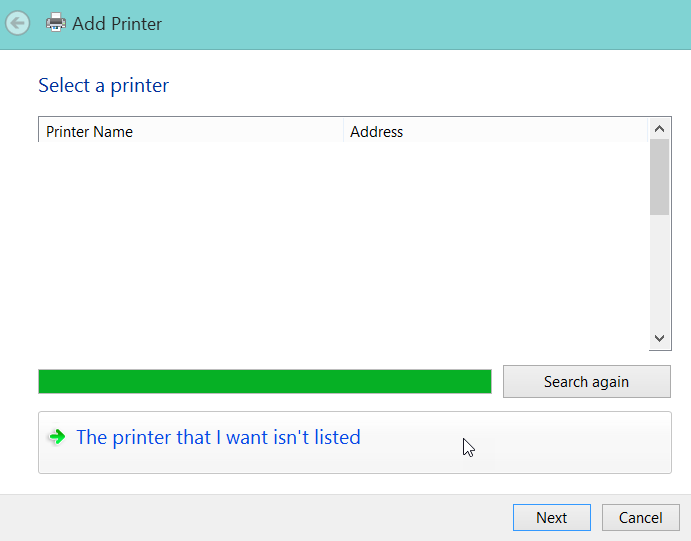 It will open up printer adding visit click on the printer that I want is not listed, click next. 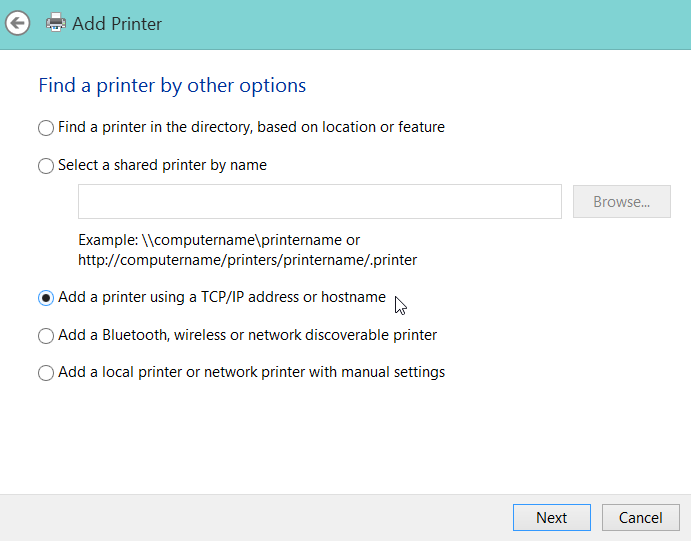 Now you will have multiple options to find the printer click on add a printer using TCP/IP address or hostname. Enter the IP address of the printer and Click next and it will search for the printer. 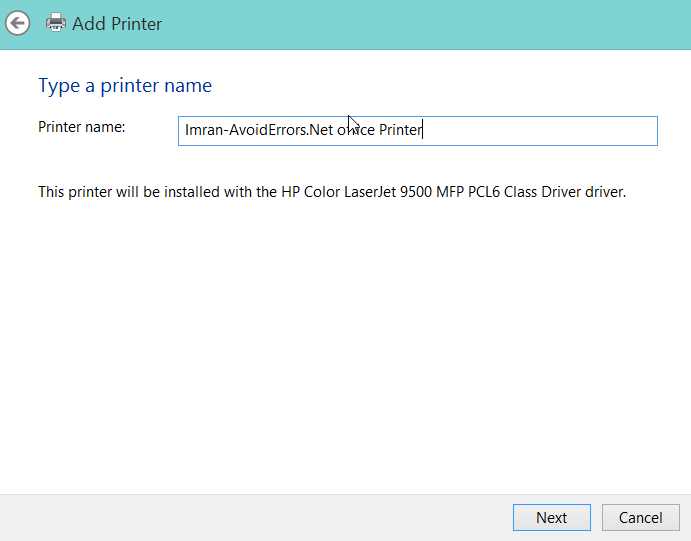 Now it will give you the option to select the manufacturer and the printer model to Install the printer driver. 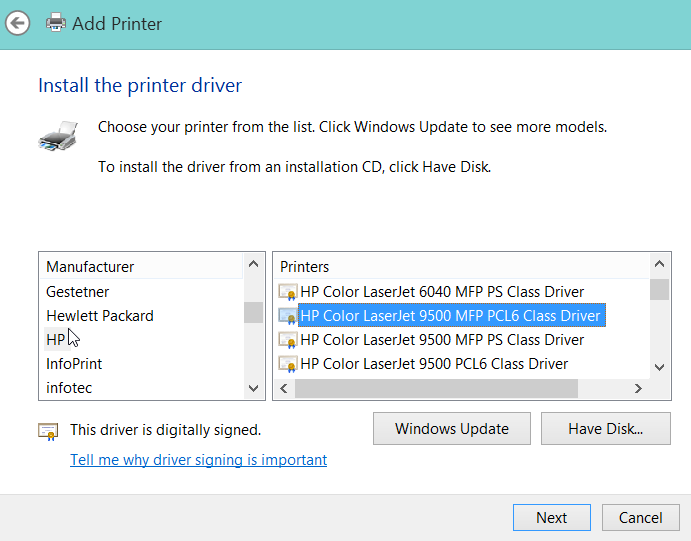 If you have printer drivers on a disc or on your hard drive you can click on “have disk” and browse for the printer driver, click next. Once added the wizard will ask you to enter the name of the printer and click next. 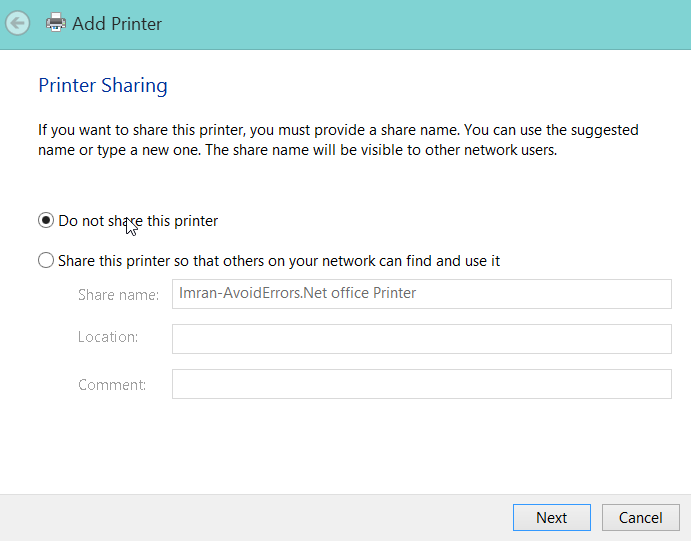 Now it will show you the printer sharing option so if you want to share the printer with your office friends you can click on share this printer so that others on your network can find and use it otherwise click do not share this printer, click next. Checked the checkbox To set the recently install printer as a default printer click finish. 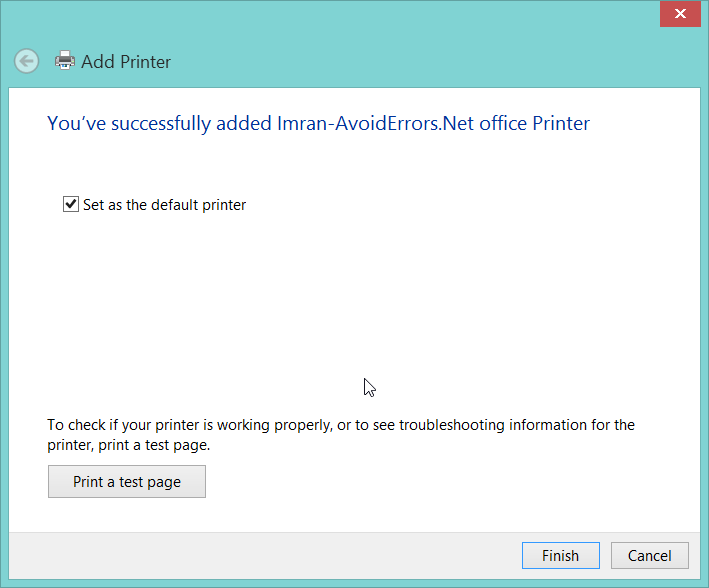 Now your office network printer has been installed using IP address.